A few weeks ago, we wrote about what’s New in OneDesk: Release Management and Product Roadmapping. We thought we would help you get started on planning your product roadmaps. Creating a roadmap in OneDesk is easy. Just follow the instructions below, and you will be on your way to easier product management. Display your product and service portfolio as planned out over time. 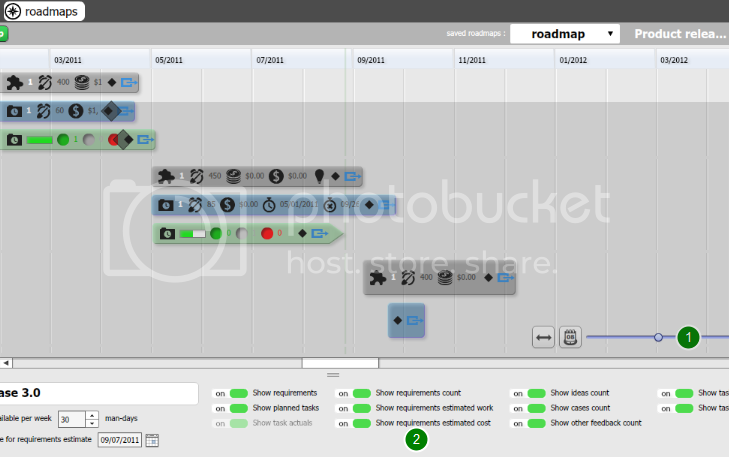 Generate living roadmap views for release estimation, planning and execution. 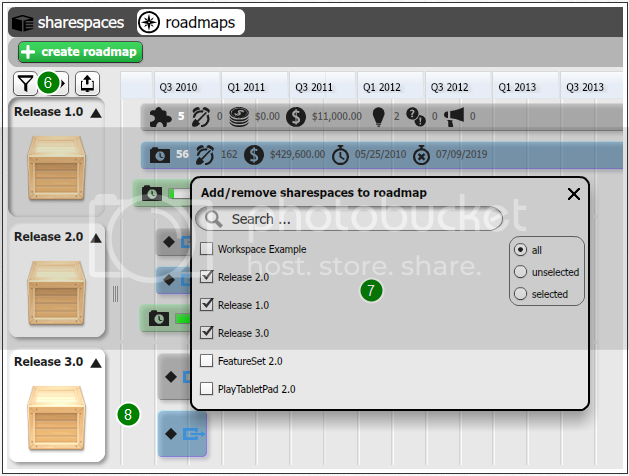 Create and save multiple road-map views configured to your needs. Add top-level indicators to the roadmap to call-out milestones. Drill-down on specific details on requirements, features and tasks. Export roadmaps and create reports for all stakeholders. Click on the projects button at the top of the interface (1). Go to the roadmaps view (2). Enter a name in the field that appears (4). You then need to add projects to your product roadmap. Click on the add/remove projects button (6). Select any number of projects from the list that pops up (7). Your projects will appear in the order you select them (8). Your product roadmap is now ready. Use the slider to zoom in and out (1). Choose which items get shown on your roadmaps (2). If you have any questions about product roadmap planning with OneDesk, or need further instructions, please do not hesitate to get in touch with us anytime.